I have to admit, Astrid Anderson is one of my personal highlights of LC:M. Each season, I’m utterly captivated and instantly obsessed. The sunset hued SS15 collection was one of my highlights last season so I waited for the AW15 collection with bated breath. It did not disappoint. Continuing the exploration of masculine vs. feminine, the collection featured the signature streetwear, long and languid basketball aesthetic peppered with plenty of pinks and toughed up with Soviet-style hats. It sounds like it shouldn’t work but it does. It really, really does. 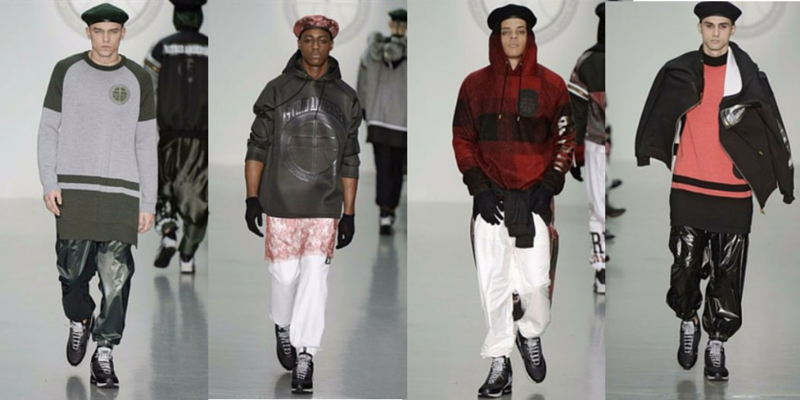 Relationship goals: To date a guy who wears Astrid Anderson exclusively.